Please call our rental office at 800-652-2611 for all reservation inquiries. 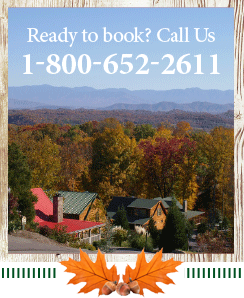 Our reservations office is available 8am-10pm EST daily, except for Thanksgiving Day & Christmas Day. We love personally talking to our guests to help pick the best cabin option for your stay, so all our reservations are done over the phone. Availability is not published online. Reservations can be made up to two years in advance. Reservations are subject to availability and nightly minimums. A 4% Resort Amenities Fee will be added to every reservation. A deposit of 50% of the total stay is required at time of booking. The balance of the stay will be due upon check-in. 1, 2, and 3-bedroom cabins must cancel or change dates or shorten length of stay 30 days prior to your arrival date for a 100% refund of the deposit. Cancellations within 30 days are non-refundable. 4, 5, 6, and 7-bedroom cabins must cancel or change dates or shorten length of stay 60 days prior to your arrival date for a 100% refund of the deposit. Cancellations within 60 days are non-refundable. No refunds for early departures. There will be no refunds for inclement weather. Oak Haven Resort will keep the streets in the resort clear to get to the cabins. Oak Haven is a family resort. We do not allow what we deem to be loud or destructive parties on our premises. Guests will forfeit all revenue and be asked to leave the premises immediately. Please observe our 10:00pm quiet time. It is the guest’s responsibility to read and follow all safety information provided including use of hot tub, jetted tub, grill and all other appliances or fixtures provided. Oak Haven Resort will be held harmless for any accident resulting from the use of these appliances or fixtures. Oak Haven Resort, Inc may use any funds received from guests immediately upon receipt of such funds. Rates are subject to change without notice. All of our cabins and lodges are unique in features and layout. Each cabin and lodge has a rate range that reflects it’s individual size and features. To check availability and to get a specific rate quote for the dates you are requesting, call one of our friendly reservationists at 800-652-2611 from 8am-10pm EST. Our knowledgeable staff will help you select the perfect cabin or lodge for the perfect stay! Early Check-Ins are permitted if the cabin is clean and ready before 4pm, but we reserve the right to hold the cabin until 4pm for any reason we deem necessary. If you would like to request an early checkin we will do our best to provide one for you, just give us a call ahead of time and we will make a note of it on your reservation. This will not guarantee an early check in, but it will allow us to try to plan for your arrival. Late Check-Ins After 10pm, when the office closes, all of the material for the remaining check-ins that have yet to arrive is transferred to our overnight customer service person. Call our office # 800-652- 2611 a few minutes before you arrive and let him know you will be here. He will meet you at the office and assist you with check in. Check-out time is at 11:00 am Eastern Standard Time Late Check-outs can be requested but are completely at our discretion. If you must have a late checkout please contact the front office prior to regular check out time and they will do their best to assist you. We need time between check-out and check-in times to prepare the cabins for the next guests, so please be courteous and check-out on time. 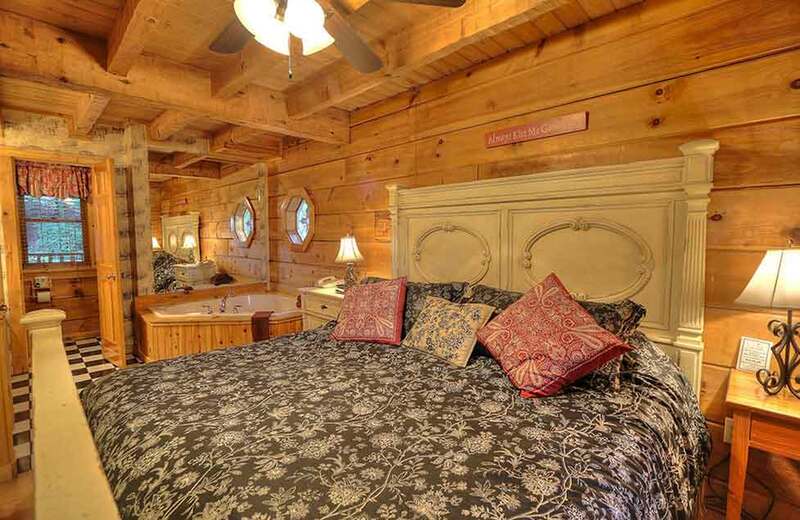 Our goal is to have your cabin in exceptional condition upon your arrival. Should you need anything once you arrive at your cabin, please notify the office immediately. If you would like fresh linens, simply place your used linens in the linen bag located on the kitchen counter and place on front porch before noon. Hang door tag on outside of front door requesting clean items. We are only able to exchange the exact number of linens placed in the bag. Please keep used linens at your cabin, fresh linens will not be available at the front office. Curbside Trash Pick-up: Please bag and tie all trash and put at the curb in front of your cabin. Trash will be picked up daily from the curb during daylight hours. The following is a list of items provided during your stay: Number of items provided varies depending on size of cabin. We love pets, however, we must insist you observe our no pet policy. Violation of the no pet policy will result in a minimum charge of $150 plus the cost of any professional cleaning required. Guests may also be asked to leave the property and forfeit the remainder of their stay. No smoking inside cabins.Violation of the no smoking policy will result in a minimum charge of $150 plus the cost of any professional cleaning required. Guests may also be asked to leave the property and forfeit the remainder of their stay. Guests will be charged to clean any stains or spills or to repair or replace items that are found damaged or missing. This site offers an opt-in e-mail newsletter. Users must specifically request to have their e-mail address added to our mailing list. Users e-mail addresses will not be shared with third parties under any circumstances. We will not use your e-mail addressed to send you any other information other than the newsletters mentioned. Users may opt-out of receiving future mailings by sending an email and asking to be removed from the e-mail newsletter list. Our site uses a form for customers to request reservation information and for general questions and comments. We collect visitors contact information (like their e-mail address). Contact information from the reservation request form is used to help in booking an appropriate cabin for our guests and then discarded. Contact information from our contact form is used only to reply to comments and questions from customers. We will not use your e-mail address or other contact information obtained from any form for any other purpose.